MONTEREY PARK — The 2017 Cherry Blossom Festival Committee and the City of Monterey Park will present the 20th annual Cherry Blossom Festival on Saturday, April 22, from 11 a.m. to 6:30 p.m. and Sunday, April 23, from 11 a.m. to 6 p.m. at Barnes Park, 350 S. McPherrin Ave. in Monterey Park. 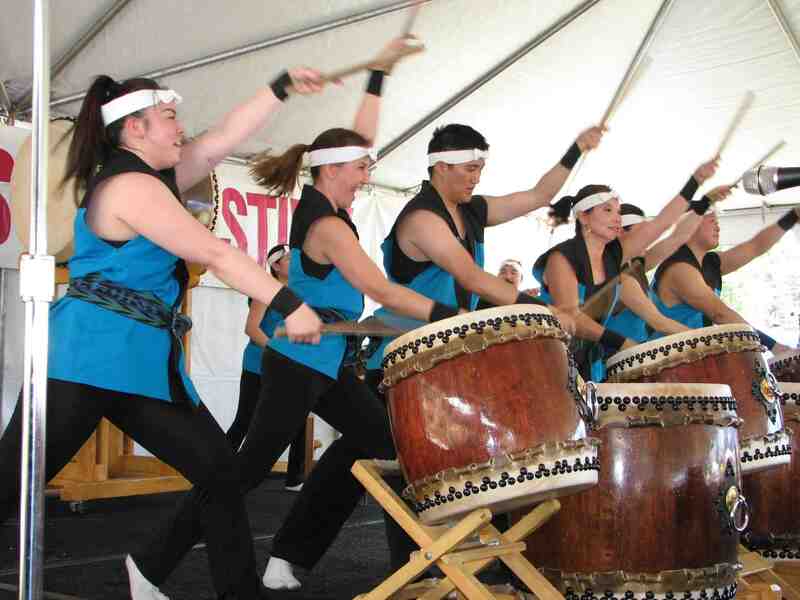 Local organizations will provide various foods with an Asian flair; hand-made crafts; kids’ games; taiko drumming; traditional Japanese dancing; martial arts; Japanese musical entertainment; a mochi-making demonstration; an origami demonstration and classes; an ikebana display and classes. Free shuttle service from Langley Senior Center, 400 W. Emerson Ave.; Ynez Elementary School, 120 S. Ynez Ave.; and Repetto Elementary School, 650 S. Grandridge Ave.
Free and open to the public. For more information, call (626) 307-1390 or visit www.MontereyPark.ca.gov. On both days, Sogetsu Ikebana will be offering mini-classes from 2 to 5 p.m. $5 materials fee. The Cherry Blossom Festival was originally held in the early 1970s. Discontinued shortly thereafter, it was resurrected by a group of community volunteers in 1997. Their efforts were realized through the successful re-establishment of the Cherry Blossom Festival in April 1998. The event coincides with the National Cherry Blossom Festival held in Washington, D.C. to celebrate the 1912 gift of 3,000 cherry trees to the nation’s capital from the mayor of Tokyo. Organized completely by volunteers, many of whom were teenagers during the festival’s early years, the festival’s goal is to showcase Japanese culture at no cost to the public.